GUND has teamed up with Sesame Street to make playtime a more huggable experience. 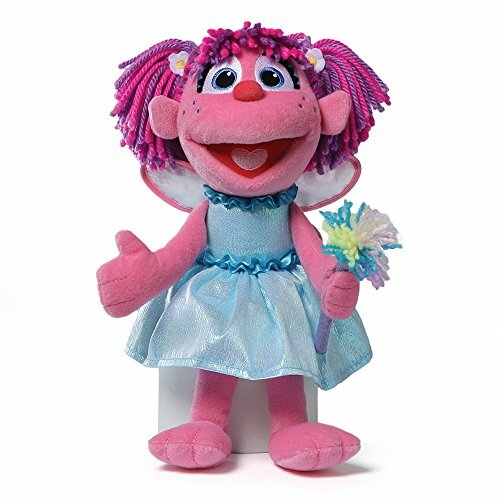 Everyone loves Abby Cadabby, and this adorable plush version of the popular character features accurate details that are sure to please Sesame Street fans everywhere. Her 12” height is perfect for on-the-go playtime and room decoration. As always, high-quality and huggable soft plush ensures that GUND products remain loyal pals for years to come. Surface-washable. Appropriate for ages one and up. About GUND: For more than 100 years, GUND has been a premier plush company recognized worldwide for quality innovative products. Building upon our award-winning and beloved plush designs, we continue to practice innovation by constantly developing new original and licensed designs to appeal to the next generation of customers. To that end, each one of our plush toys is constructed from premium materials for unparalleled softness and huggability.